Just after some advice in relation to a smallish longboard style SUP? After going through a few different boards I think my personal preference is for a longboard type SUP that still retains a little glide & speed on a wave, but not one that is too long or not too wide. 9'0" long by about 29"/30" wide seems to be a good fit for me. Currently either the Fanatic Stylemaster or Imagine Icon (in 9' versions) are of interest. I'd love to hear some feedback on anyone that has ridden either? Especially the Icon, they seem pretty high performance but I have never actually seen one on the flesh. The other alternative is a 9' Laird. 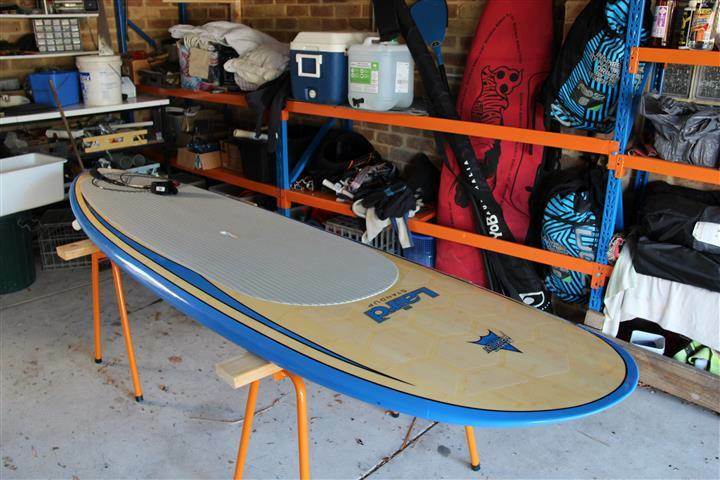 I've just sold a 9'6" so think I know what I would be in for there, and was looking to get away from the massive wide nose on the Lairds, but also interested if anyone thinks they would be comparable to the others listed. I really like the Laird Surfer too. Haven't tried the other 2 but have owned the jl striker and I think the laird is higher performance. I'm on the 9 footer and having surfed shorter boards I've also come to the conclusion that I prefer a 9x29. Why not the wide nose? That's the fun bit. such a classic looking board Slack, just been checking out the 10 ft version at CL. Tempting ?? Interesting to hear about the JL Striker vs Laird, was considering the Striker but possibly not now! Re the Dogman, I was lucky to be able to have a crack on the great mans board at Merimbula this year. Probably not a great test as he's a lot more solid than I am, but I didn't really gel with it too much. I haven't totally ruled out the smaller Laird either but after a few years on the bigger one I'm hankering for something different....not necessarily looking for a dedicated noserider either. Very interested in hearing from anyone that has ridden the Icon, they look sweet! !